Question: My friend listens to your lectures and finds them very interesting. The problem is that he cannot advance in his study since he works 14 hours a day in order to provide for his family and his kids; he cannot change that. When your organization affects what happens in the world, will my friend and others like him join the process of correction? Answer: Our organization will be able to affect what happens in the world when many people like your friend join us. Question: However, there is no way that he can join you. Answer: He can join us, just like everyone else. He can begin to learn how to connect and how to turn our society into one whole through the wisdom of Kabbalah. When part of society begins to unite, it will affect all of the others. Kabbalah explains how we should unite so that a special force will appear between us, like small signal that enters an amplifier and exits much stronger. This is exactly what we can do with our society. We need to learn how to unite a small number of people who can change the whole system, the whole country. We don’t operate according to socialistic principles or any other movement from the left or the right side of the political map. We live according to the education method of the wisdom of Kabbalah that teaches us how to coexist with all of humanity and be compatible with the laws of nature, in cooperation and unity. Since we are trying to get closer to the level of connection in nature, an enormous force of overcoming is revealed in us through which we can do everything. Question: Does that mean that it is enough to understand the idea and to support it? Answer: Basically, yes. This is the reason that your friend need not leave his job in order to study the wisdom of Kabbalah in depth. It is enough if he is in contact with us. There are thousands in our organization, all working for a living, who simply study how to connect correctly in order to attain the force of overcoming so that we will really be able to influence all of society. According to the president, Israeli Arabs identify with this terrorist organization, because of their amazing PR campaigns. Answer: ISIS indeed has achieved great success in their advertising on the Internet; they are very active in spreading their ideas on social networks through video clips. They have a thorough technique for processing people. They hit below the belt: join us or die. The openly and successfully play on people’s basest feelings. Comment: The Israeli president demands that Israeli Arabs and their leaders take responsibility and openly oppose ISIS. Answer: The Arab community is not able to oppose ISIS. Although these are ordinary people who lead a normal good life, they are susceptible to this propaganda. Soon we will find ourselves helpless as this phenomenon spreads among the masses armed with weapons and an ideology. They will be ready to sacrifice their lives for it, when on the other hand. Most of the Israel’s population do not own guns and don’t know how or want to use them. We will be under the threat of a war within and on our borders. I hope that the nation of Israel will soon realize that the only solution is in drawing the upper force of nature that operates when we unite. The upper force will influence our enemies from within and change them. We can change them and oblige them to be different and thus change the whole world by our desire to connect. It is in our hands and only in our hands, If we do that, we will be able to get rid of all our problems and help the world. Question: How can people believe that? 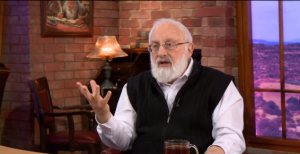 Answer: We have to explain to everyone that we can discover the Creator in our world, the force of connection, the positive force, the Upper Light, through the wisdom of Kabbalah. When this force is revealed between us and in each of us, it will be conveyed through us to the rest of the world and will balance the world. Our egoism is what has generated the “Islamic State,” the crises, the problems in Europe, and all over the world, and the good force that will balance everything will bring the world to a peaceful state. We can compare the current situation to a puppeteer wearing a puppet like glove and the puppet hits him over and over again while he is actually the one who operates it. This person cries out for help not realizing that he simply has to stop beating himself. If we only realize that we are actually unconsciously generating and managing all the negative phenomena, this realization will automatically put an end to all the negative actions. Question: Should we accept social inequality as a reality? For example, in India, some accept the fact that they are born to a certain caste that will never be higher. Or should we aspire to wealth and wisdom? Answer: If a person is smarter or richer, it will not make him equal to others. With such an attitude toward life, we would go only downhill, and indeed the world will now begin to slide sharply downward. We actually have almost completed the era of capitalist development, and therefore will not be able to use natural resources properly to continue our egoistic development. Everything we have built will crumble before our eyes. Question: But there are not enough resources in our developed world to feed the poor and hungry. Answer: Who lacks resources? There is a surplus of goods in our world, and it all depends on the right connection between us. Is there a global shortage of cars? Do you know how many new cars come off the assembly lines and are stored in warehouses because there is no one to sell them to. Do you know how much oil there is in the world? Resource distribution depends only on the connection between people. Yearning for wealth will lead to nothing, and will only further divide us. We need to teach people how to connect properly, and then they will be able to establish a more equal society. The problem is that society needs a production system that needs to be capitalist while according to the connection between people, it must be socialist. The Kabbalah can lead people to this. Only in this will we be able to develop properly so that we will all be happy. Question: On the one hand, it is written, “…whatever Sarah tells you, hearken to her voice,” and on the other hand, it is written, “do not engage in excessive conversation with a woman.” How can we understand this contradiction? Answer: A person is made of different desires that are divided into two levels: a desire to receive, which means to draw everything to myself for my own egoistic filling, and a desire to bestow by which I bestow, give, and connect with others. Each of them is also correspondingly called a female desire to receive and a male desire to bestow. Bestowal refers to a person’s attitude toward others, his effort to bestow, to give, and to connect with everyone into one unique whole, which is the correct schema of the final corrected state of humanity. Naturally there are egoistic desires among the male and female desires when the bestowal is carried out with the intention of getting something back and and gaining something, and there are desires of giving without getting something in return. Among the female desires, there is a desire to take indiscriminately as much as possible, and there is a more essential desire to receive only in order to exist; then it as if helps the male desire in bestowal. Question: What does “…whatever Sarah tells you, hearken to her voice?” mean? Answer: Sarah represents the desire that operates in order to bestow and helps her husband. For herself the basic necessities are enough, and everything else is for others. Abraham was known for his hospitality, inviting every passerby to his tent. He told his guests about the uniqueness of the Creator and offered that they could be part of a covenant he called Yashar El (Straight to the Creator), that is, straight to the goal of connection and unity among people. This covenant was based on the absolute connection between people in order to become one unique whole, and Sarah helped him in that. However, at the same time, different sources say, “…do not engage in excessive conversation with a woman,” and it also says, “This is said even regarding one’s own wife—how much more so regarding the wife of another.” It refers to the female desire, to the desire to receive with which one should have as little contact as possible. Take from it only what can help you in the desire to bestow. Therefore, there is no contradiction, but simply the upgrading of our desires that everyone has: both male and female. Two male desires and two female desires, only a total of four, exist in each of us. The right connection between them is the Creator’s four-letter name. People today don’t understand and don’t know the real meaning of the Torah and Mitzvot. The Torah and commandments are a system of laws of the upper world that control us, and it is our duty to get to know it. Abraham explained the Torah and Mitzvot to the people of Babylon, and they reached an equivalence of form with the upper operating system of nature and Judaism was born. The upper system includes a network of forces operating in the primary law of mutuality, connection, and complementation. Man’s nature is totally opposite to the law of nature; he wants to draw away from, disparage, and dismiss others. Abraham spoke about mercy and the love of others as a means of resembling the upper system since eventually all parts of reality have to be totally connected. Later Abraham’s students received additional egoism, went to Egypt, and received the Torah, the method of correcting the ego, at Mt. Sinai, which symbolizes the mountain of hatred between them. According to this method, they had to work on the connection between them, feel mutual guarantee toward each other, and expect the correcting force, the Torah. The Torah is the Light that awakens in us when we try to get closer to one another. Rabash explained that there are 613 egoistic desires in a person and that there is a special correcting Light for each of them. The Torah was written in the language of branches and tells us how to relate to all the desires on the still, vegetative, animate, and speaking levels of nature. He also explains that the picture of this world a person sees is the picture that his desires depict for him when they are reflected against the white light, and the Torah, which is the correcting Light, enables a person to see a new world instead of the dark egoistic world. The difference in perception is expressed in the relations between us, and it is described in the Torah by expressions like: Mt. Sinai, the Golden calf, the desert, etc. The land of Israel is the good attitude, the desire to love and to bestow, and a state that is similar to the upper force. To observe the 613 Mitzvot means to correct the 613 egoistic desires and every person is obliged to do so. Abraham’s students discovered how they had to relate to the still, vegetative, animate, and speaking levels of nature, and taught the next generations. They used the language of branches and behaved in corporeality just as they behaved in spirituality since the corporeal life is only an addition to spirituality; it doesn’t affect it in any way and certainly doesn’t replace it.